The vision of this project is to create a compact village in a beautiful natural setting. The site has significant topography with a variety of special natural areas, dramatic rock outcroppings, and views to the city. 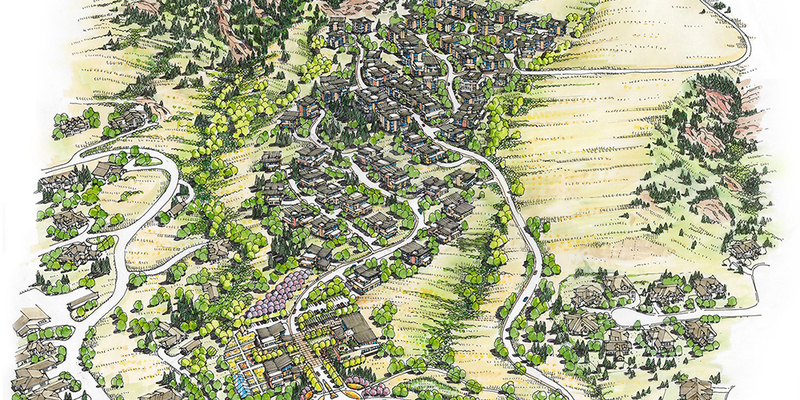 Density is provided to preserve these beautiful natural areas on the site while also creating a sense of community. Prototypes were developed to complement the master plan which are designed for active seniors with single floor living, all elevator accessed as well as large outdoor areas. At the same time, each unit is conceived to have a strong connection to both views and open space. A center provides a communal focal point for the village. Extensive amenities include recreation/spa facilities, community meeting areas, a cafe, spaces to support home offices and on-site services for the residents. An extensive trail systems ties the place together and promotes active living. A system of outdoor spaces are provided for gathering, gardening, or contemplating the beautiful site. 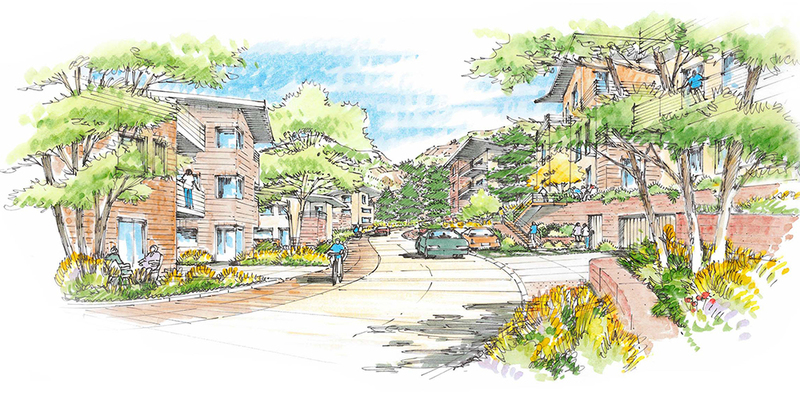 All aspects of the design are focused on aging well for seniors which supports active and health living, aging in place, and creating a sense of community linked to nature. This project scope included the initial planning and re-zoning effort/ODP both with Steve Dodd.